Released on April 4th, to coincide with the European leg of The Wall Live tour, is "Roger Waters - The Album Collection". 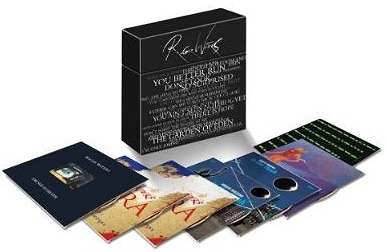 A limited edition (available during the tour) 8-disc box set, with a lift-off lid, it is a collection of his studio and live albums housed in mini-LP replica wallets, and sitting alongside a 16-page booklet. Click the thumbnails to the right to see them in more detail. The collection (released by Sony Music) consists of Pros & Cons, Radio KAOS, Amused To Death, In The Flesh Live (2CD & 1DVD), and Ca Ira (2CD). 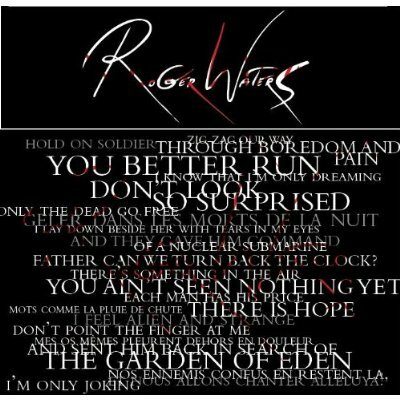 So, there is NO new music included, but for those who are lacking Roger's solo work, it is priced very reasonably so a good opportunity for those who want to bolster their collection. You can pre-order the set now through Amazon UK, Amazon France, Amazon Germany, Amazon.com and Amazon.ca. You can also order it from Play.com and HMV.com (who are currently cheapest for this, with £10 off the recommended price). Also re-released (on March 28th) is the compilation album Flickering Flame, which features tracks not found elsewhere, including the title track, Each Small Candle, Knocking On Heaven's Door, and Lost Boys Calling. You can get it through Amazon UK and other normal retailers.